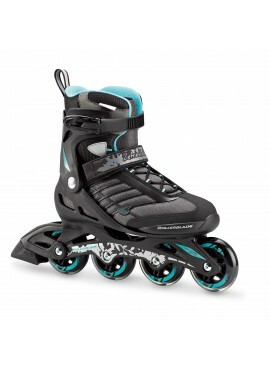 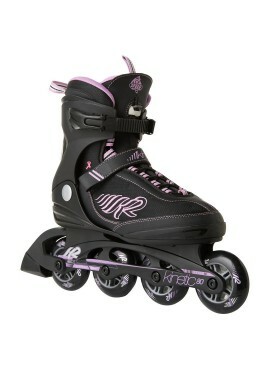 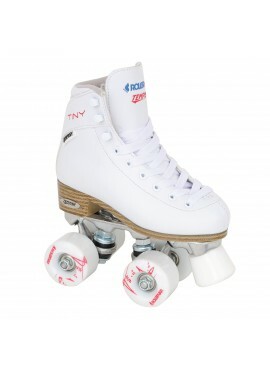 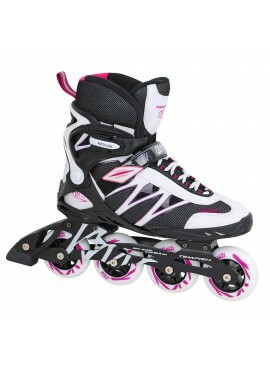 Model TEMPISH SEEGEE opens a new category of quad skates in TEMPISH offer. 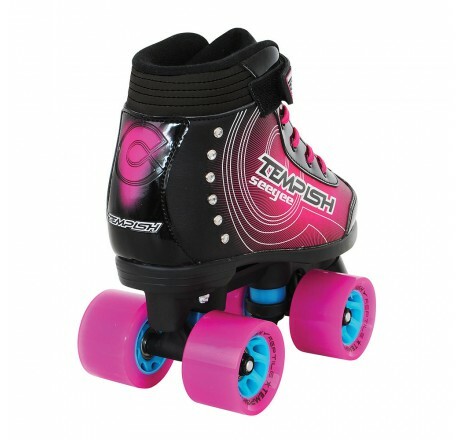 The main desigration of skate TEMPISH SEEGEE is fun, dancing, skating, street style .... Skate TEMPISH SEEGEE diamond are fitted with sparkling stones which stand out in the sunshine, or even when skating on disco on skates and are designed for girls and women. 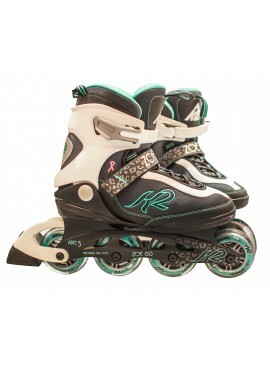 Skate is designed for all fans of classic skating on quad skates. 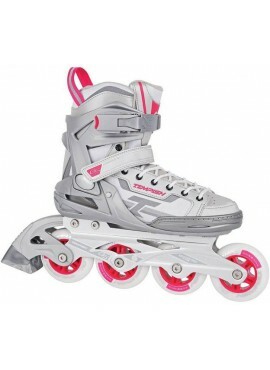 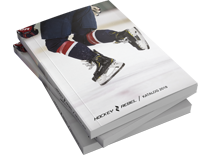 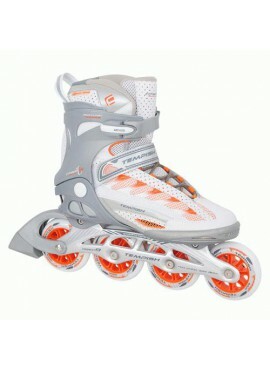 Moderately high construction of the skate with softer part in the ankle area and above the ankle together with a strap placed over the laces underline its universal purpose. 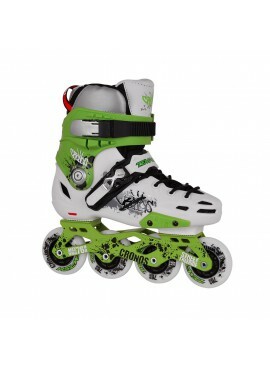 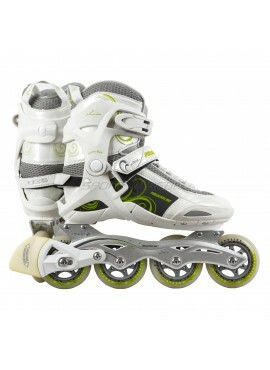 Top strap allows users to individually tighten the skate to the foot above the ankle exactly according to their needs and the skating style. 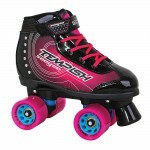 The fashionable design and color attract all onlookers. 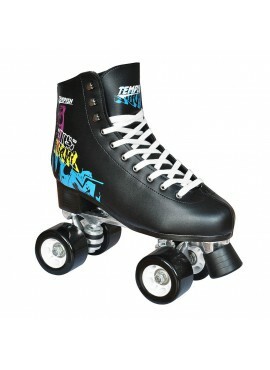 Lower outsole under the heel highlights the sporty look and also enables its wider use during normal urban skating, or skating on tracks. 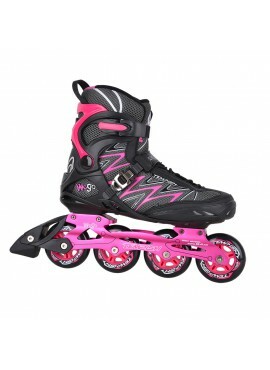 The liner on the back of the boot and in the ankle area ensures comfortable feeling even during a longer using. Nylon truck is very solid, stable and yet lightweight. 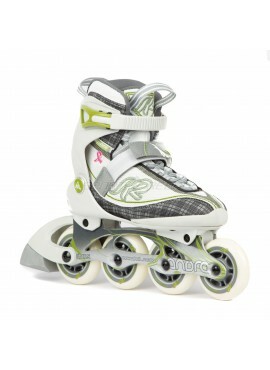 Please note that the length of the foot make a bit of slack (5-10 mm).